Brand new boutique style 109-room hotel ideally located in the historical center of Moscow at the most beautiful pedestrian street of Arbat, famous by its artists, souvenir shops, numerous restaurants, cafés and bars. 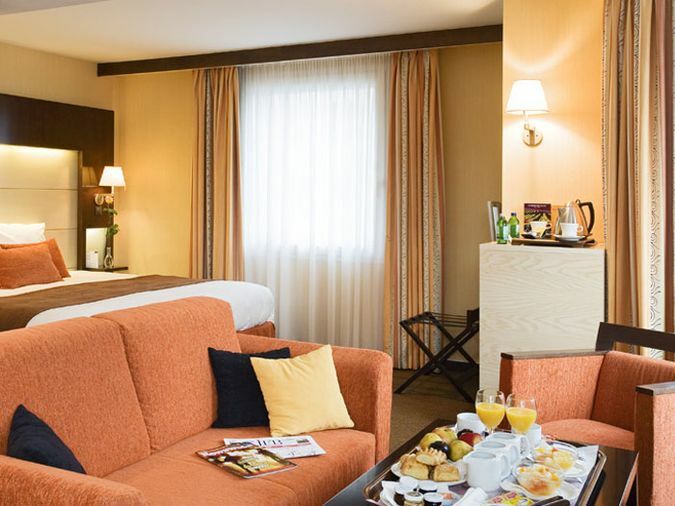 With 2 metro stations at its doorsteps the hotel is close to the International Trade Center,Expocenter, Moscow City and offers Wi-Fi, high-speed internet access, coffee/tea facilities, Nespresso machines in Privilege rooms,gym, infrared saunas, restaurant, bar, library and meeting room. A wellness centre with gym and small sauna and free Wi-Fi are offered by this elegant, 4-star hotel in Moscow. Set in the famous Arbat district, it is a 2-minute walk from Smolenskaya Metro Station. 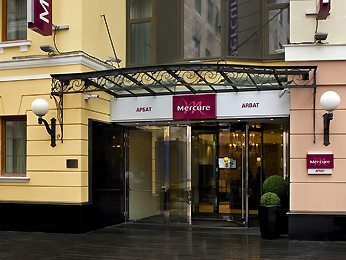 Decorated in a stylish grey and white colour scheme, rooms at the Mercure Arbat Moscow feature rich fabrics and Persian-style rugs. Amenities include a flat-screen TV, tea/coffee facilities and a modern bathroom with rainfall shower. French and Russian cuisine is served daily in the elegantly-decorated La Promenade restaurant. A rich buffet breakfast is also provided each morning. A 7-minute walk from the hotel are many cafés, shops and boutiques set on the popular Stary Arbat Street. The Kremlin and Red Square are also a 15-minute Metro journey away. 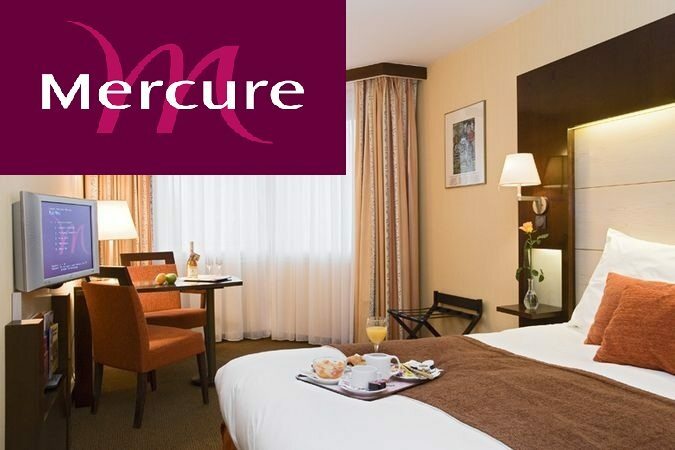 Sheremetyevo International Airport is 30 km from Mercure Arbat Moscow and transfers can be organised by the 24-hour reception staff.